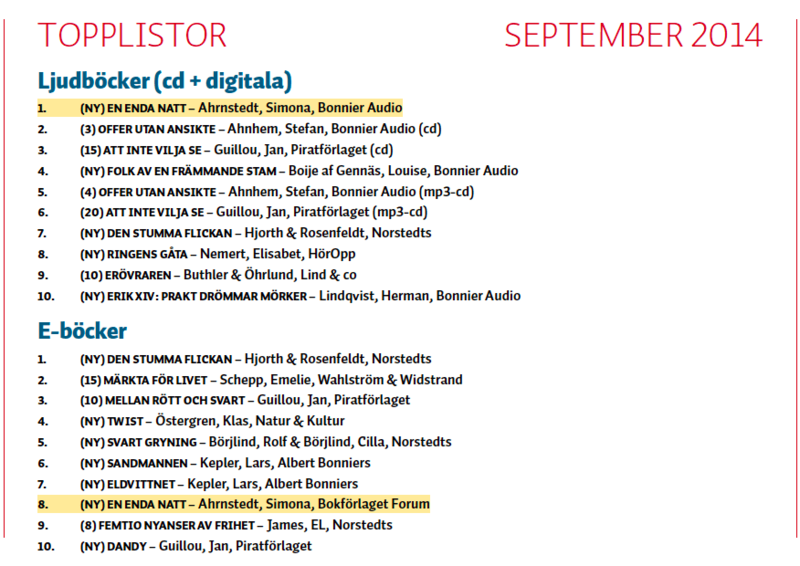 Unni and Jan-Erik nominated for Bookseller’s Award! 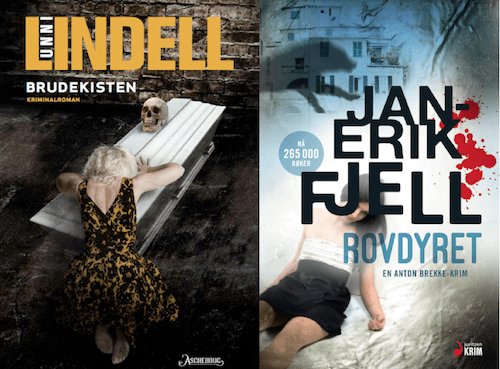 Our Norwegian authors, Unni Lindell and Jan-Erik Fjell have been nominated for this year’s Booksellers’ Award!! The winner will be announced on the 25th November. Congratulations, Unni and Jan-Erik! 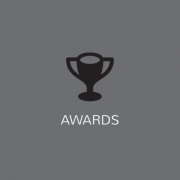 http://www.nordinagency.se/wp-content/uploads/2014/02/awards.png 500 500 Nordin http://www.nordinagency.se/wp-content/uploads/2014/02/new_logo.png Nordin2014-10-31 15:45:242014-10-31 15:46:27Unni and Jan-Erik nominated for Bookseller's Award! 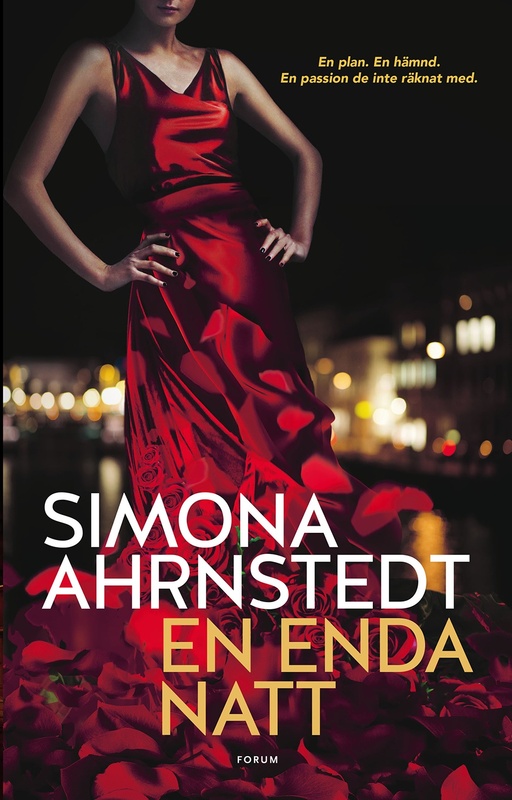 Nordin Agency is happy to announce that three books in Simona Ahrnstedt‘s Only One series were sold on preempt to Egmont Lyx in Germany. Alexandra Panz nabbed the rights to Only One Night the smash hit of the year, its follow-up Only One Secret set to be published spring 2015 and the yet to be named third novel in the series. We are all very excited about the new collaboration and the promise that it brings. It has been seven years since Mons Kallentoft first introduced himself as one of the most striking new voices in Scandinavian crime fiction in conjunction with the launch of Midwinter Sacrifice (Midvinterblod) – the first book in the successful Malin Fors series. 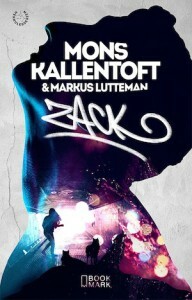 Last year, Kallentoft announced that he was working on a new project together with fellow writer Markus Lutteman, and in June 2014, the readers became acquainted with Zack for the first time. 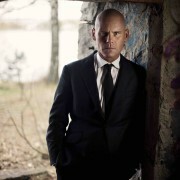 Mons Kallentoft had been nurturing the idea for several years – to write a series of crime novels loosely inspired by the Hercules myth, but based in 21st century Stockholm. He met Markus Lutteman at an awards ceremony and the pair immediately connected. Together they created the complex young Detective Inspector Zack Herry and his fictional universe: the dark, sinister underbelly of contemporary Stockholm. Their plan is to write twelve books – just like the twelve labours of Hercules. The first title, Zack, was published by new, innovative publishing house Bookmark in June 2014 and it was not long before the book was top of the charts. The readers have described the book as “modern”, “captivating” and “action-packed”. 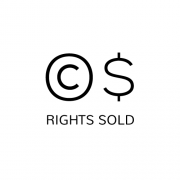 International rights have been sold to nine territories, including France and the USA. But fans of Malin Fors do not need to worry. 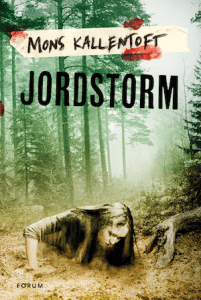 The eighth book in the series, Earth Storm (Jordstorm), will be published at the end of this month and Kallentoft has an outline for another five books about the troubled Linköping detective. 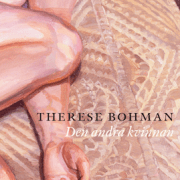 Therese Bohman’s “DEN ANDRA KVINNAN” (The Other Woman) is one of three novels shortlisted for Magazine Vi:s Literature Prize. The winner will be revealed at the end of November. 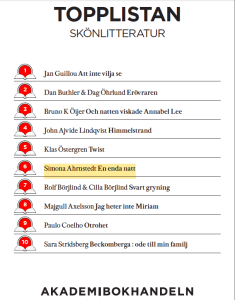 Once again Simona Ahrnstedt proves that she is Sweden’s queen of romance as her latest novel Only One Night takes on the crime writing giants on Sweden’s bestseller charts. 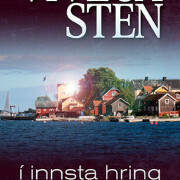 Viveca Sten continues to conquer the world! 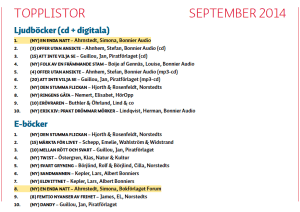 After only two weeks on the market Viveca Sten’s novel Closed Circles, the second in her popular Sandhamn Murder Series, has already nabbed the no 1 spot on the Icelandic bestseller charts. Well deserved says her Icelandic publisher at Ugla Utgáfá who is already looking ahead and planning for publication of Vivecaäs thrid book, Guiltless. http://www.nordinagency.se/wp-content/uploads/2014/10/Í-innsta-hring-framan-web.jpeg 567 346 Anna Frankl http://www.nordinagency.se/wp-content/uploads/2014/02/new_logo.png Anna Frankl2014-10-23 11:31:282014-10-23 11:36:19Viveca Sten continues to conquer the world! 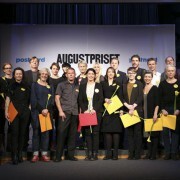 Steve Sem-Sandberg nominated for The August Prize 2014! 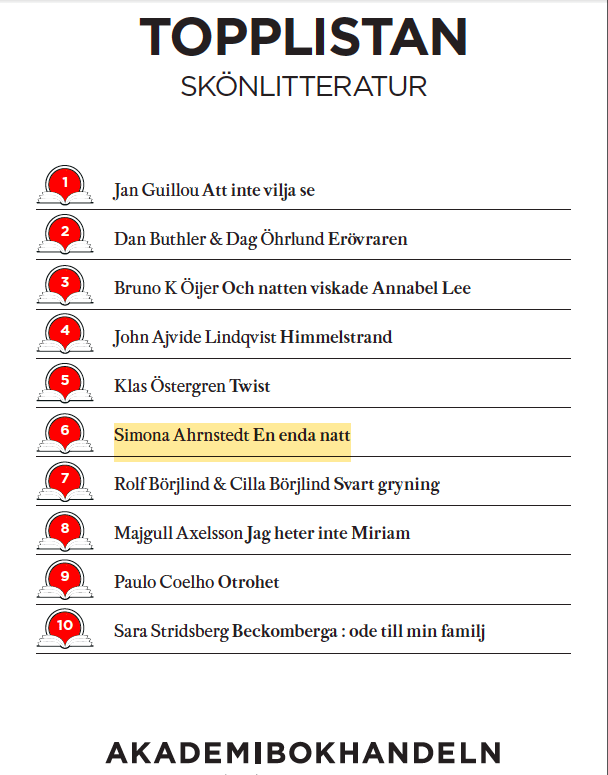 It is with pleasure that Nordin Agency congratulates Steve Sem-Sandberg on his nomination for the 2014 August Prize. In the novel “De utvalda” (The Chosen Ones) Steve Sem-Sandberg confront’s us with abuse and collaborations from the past. It portrays the children’s ward at the institution Spiegelgrund in Vienna during the Nazi era. On a stabil documentary foundation he builds a story of science’s will to subjugate man, a dark impulse that neither begins nor ends there. In an excruciatingly beautiful and precise prose Sem-Sandberg successfully exposes the anatomi of evil with intimate humanism and restrained anger. At the same time he bestows the reader with an awareness and a strength to resist. Steve won the prestigious award in 2009 with his novel The Emperor of Lies. It went on to sell in over 25 territories around the globe a success that is sure to be repeated with this latest masterpiece. http://www.nordinagency.se/wp-content/uploads/2014/10/ap_2014_3_s.jpg 470 780 Anna Frankl http://www.nordinagency.se/wp-content/uploads/2014/02/new_logo.png Anna Frankl2014-10-20 14:40:092014-10-21 16:16:04Steve Sem-Sandberg nominated for The August Prize 2014! As far back as we can remember romance and love have had a strong presence in literature. With her lates novel Only One Night Simona Ahrnstedt shows us why romance is the largest literary genre in the Western world. What is romance? That is the most frequently asked question we get from friends, other authors and journalists. Simona Ahrnstedt usually compares the genre to that of crime novels, but instead of solving a case, there is a love story that needs to have a happy ending. 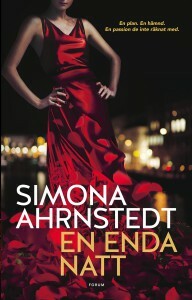 The events leading up to this is what separates good romance from great and Simona Ahrnstedt is one of the best. 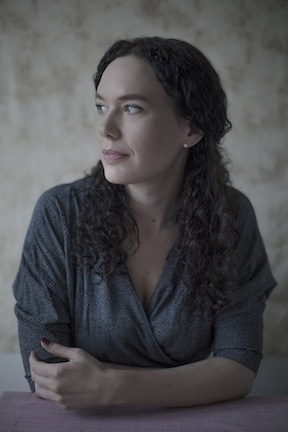 Her latest, and first contemporary, novel is a game-changer. As pretty and inviting as a box of chocolates it will put all your preconceived notions about romance to shame while elegantly entertaining readers from 15 to 95 in the time honored tradition of all great fiction. Only One Night (En Enda natt) is a story of revenge, heated power plays and above all: Forbidden Love. 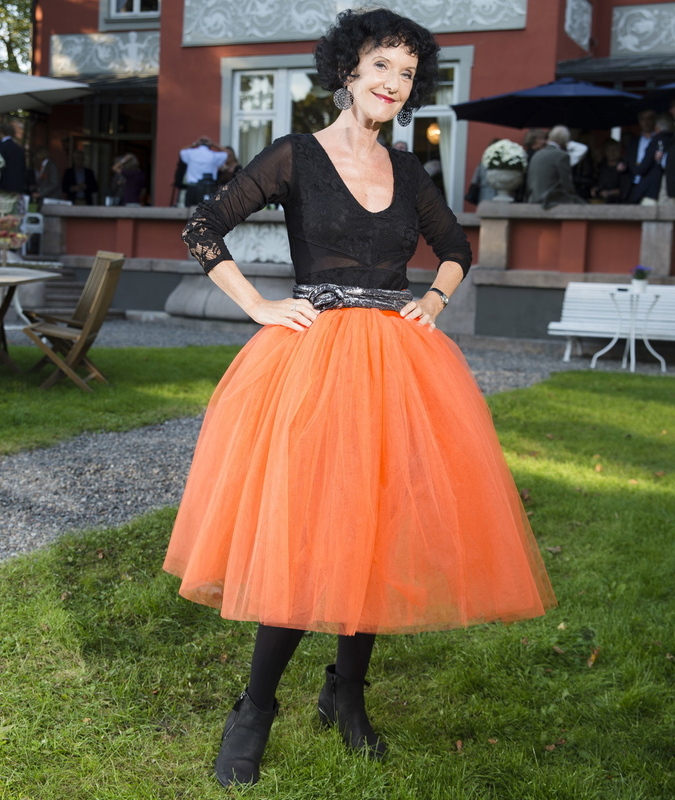 In the glamorous and high-powered setting of the Swedish finance world we meet corporate advisor Natalia De la Grip and magnetic venture capitalist David Hammar. Both have set a strong course in their lives. Proud Natalia, who was born into the upper class’ highest echelons is forging her own way by building an impressive career. Meanwhile David, a self-made and ruthless billionaire is determined to seek revenge on the people who have hurt him in the past. But David´s plan to take over the De la Grip family business sets him on an inevitable collision course with Natalia. As passion strikes and secrets rise to the surface, unavoidable disaster looms and life-altering decisions must be made. Strong women, intense plots and a free flowing narrative are what make up the backbone of this author’s storytelling. Her character’s are as compelling as her love stories and she never lets her readers down. 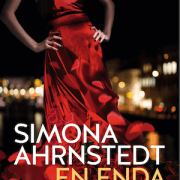 That is why Simona Ahrnstedt earns her title as Sweden’s queen of romance. Once again she has managed to create characters that I like instantaneously. 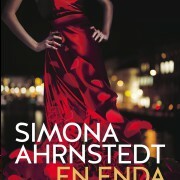 I really appreciate that the women in Simona Ahrnstedt’s novels are self-sufficient, strong and have their own career. Literature that completely breaks all prejudices.